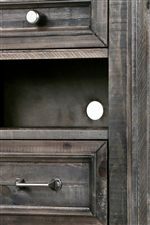 This panel bed shows off a beautiful linear design and still plays into the rustic chic aesthetic of the collection. The panels add unique dimension to the bed, while pointed block feet complement the sleek appearance. 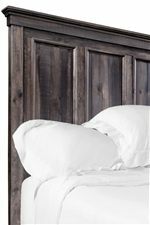 You'll love the grand and luxurious feel that the tall headboard brings to the bed, while all other elements of the bed make it inviting and cozy. 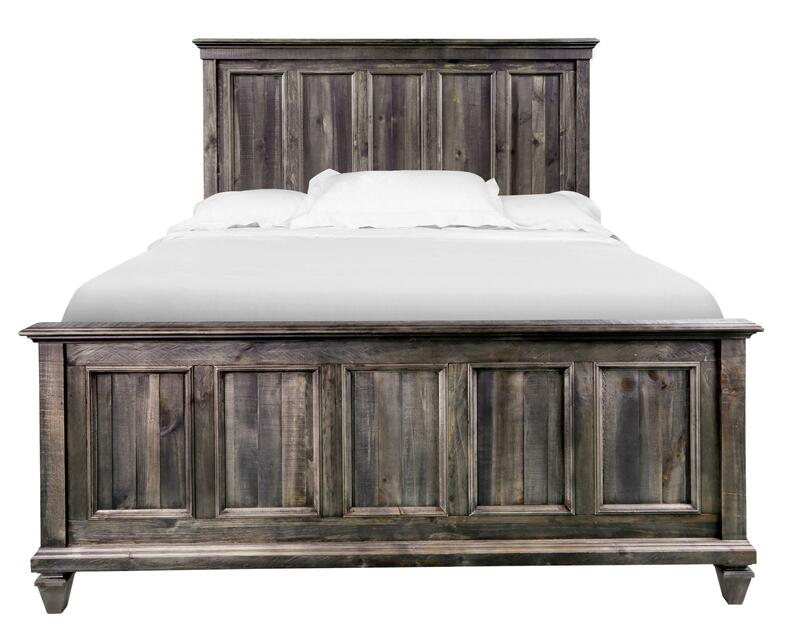 The Calistoga King Panel Bed with Headboard and Footboard by Magnussen Home at Miskelly Furniture in the Jackson, Pearl, Madison, Ridgeland, Flowood Mississippi area. Product availability may vary. Contact us for the most current availability on this product. 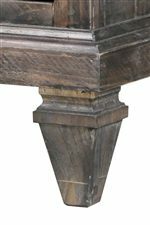 The Calistoga collection is a great option if you are looking for Transitional Traditional furniture in the Jackson, Pearl, Madison, Ridgeland, Flowood Mississippi area. Browse other items in the Calistoga collection from Miskelly Furniture in the Jackson, Pearl, Madison, Ridgeland, Flowood Mississippi area.